For the longest time, I didn't understand the new-car industry. I had always thought when a person wanted an automobile, he or she dropped by the local dealership, kicked a few tires, and placed the order with the salesperson. I figured that when headquarters got the specs, they'd scurry around the shop to find the right steering wheel, chrome strips, and navigation system and put it all together. You know, kind of like whipping up a last-minute meal in the kitchen. Simple, right? Wrong. To my amazement, I discovered that once a car is ordered from the dealer, a computer puts into motion dozens of contacts all over the country. One location makes only engines; another provides the glass and plastic parts. Some other outfit does the steering wheels, and yet another manufactures the carpet and leather interior. And—hopefully—at just the right time, everything arrives at the assembly plant. Before long, a shiny new car rolls onto a transport truck and soon arrives at its proper destination. What a remarkable arrangement! It takes a plan. Now then—if people can come up with an organizational plan as complex as all that, imagine how much more efficient God's arrangement was . . . more than two thousand years ago. I'm referring to the perfectly synchronized events surrounding our Savior's birth. For sure, it was no afterthought. What a statement! At just the right moment, precisely as God had arranged it, and in keeping with a plan that He formed before the foundation of the world, the Messiah entered the scene of humanity (John 17:24; Revelation 13:8; 17:8). Hundreds of years prior, Micah prophesied that Messiah would be born in Bethlehem in Judah. He was. But I thought Joseph and Mary lived in Nazareth in Galilee. They did. Aren't those places miles apart? Yes, in those times, travel between Bethlehem and Nazareth took—literally—days. Then . . . how? Well, you see, that's just a small part of the plan—especially when you consider Mary was approaching "term" in her pregnancy. To get Mary and Joseph all the way down to Bethlehem in time, the only way that could happen was if they were forced to travel. No problem. A required census from Caesar Augustus required Joseph to register in person in the city of his family roots. What town was that again, Micah? Yes—Bethlehem (Micah 5:2; Matthew 2:5; Luke 2:1–4). But before a Savior could be born, there also needed to be some natural means of common communication—a familiar language that could quickly spread the news. Easy enough. Thanks to Alexander the Great's hellenization of the world centuries earlier, koine Greek provided a universal language by which the gospel message could be disseminated rapidly through the pens of the evangelists and apostles. To get that all-important message around the world also required an international highway system through the Roman Empire—unheard of prior to the Roman takeover. Thanks to an inconvenient census, a universal language, and much-improved roads, the Messiah was born at just the right place and time. The world hardly noticed this little baby. After all, the Romans were too busy building and conquering. And Caesar Augustus was occupied counting noses in his census. In reality, these world rulers were little more than wisps of lint on the prophetic page of history . . . mere pawns in the arrangement of a sovereign Lord. God had a plan . . . and He still does. 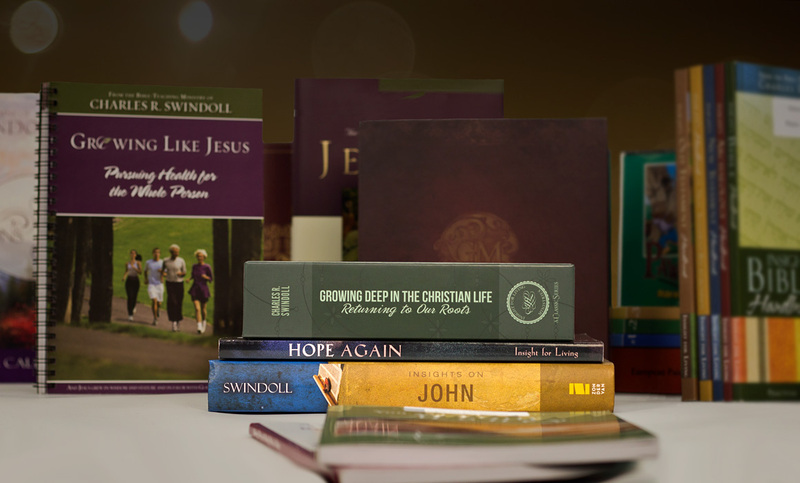 Each December, I ponder the ways God has led our lives over the previous twelve months. With growing excitement, we at Insight for Living Ministries are seeing His sovereign hand guide us in a direction He planned long before 2015! Our Vision 195—to take the Word of God to all 195 countries of the world—is His plan. You are part of that plan, too, I'm convinced. We're in this together. And by God's grace, we'll keep pressing on together. Christmas fascinates me every year. The things God pulled off to get His Son delivered to the right place at just the right time twenty-one centuries ago would make our modern-day automobile industry appear, by comparison, like a child playing with a box of Legos. Come to think of it, the same sovereign arrangement is true of each of our lives, isn't it? God had a plan . . . and He still does. That's how God works. 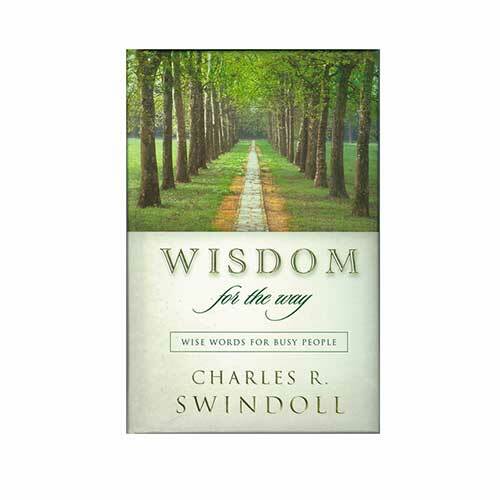 Copyright © Charles R. Swindoll, Inc. All rights are reserved worldwide.